Home » books , darth plagueis , james luceno , star wars » Darth Plagueis novel WILL be published after all! Darth Plagueis novel WILL be published after all! James Luceno is a happy man: word came out a few days ago that his long-simmering Star Wars novel about Darth Plagueis is going to be published at last! Release date at the moment: February 28th, 2012. That's a year and a half from now, but given what we've gone through already to see this book happen, it ain't so bad. Around the same time that Star Wars Episode III: Revenge of the Sith was premiering in theaters five years ago, Luceno was talking in interviews about how he wanted to write a novel about Darth Plagueis: the Sith Master of Palpatine AKA Darth Sidious. Specifically, Luceno said at the time that he wanted to explore at length Plagueis' search for the means to immortality (and how what Plagueis wanted differed from the immortality that Qui-Gon Jinn discovered). 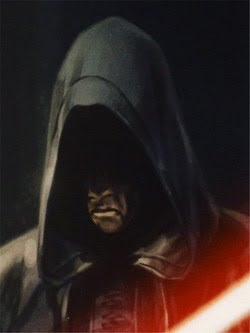 A year later it was announced that Luceno was writing his Darth Plagueis book with a publishing date in 2008. Less than a year after that however, the Darth Plagueis book was cancelled by Lucasfilm! The official reason given was that it was "decided that this was not the right time to delve into Palpatine's back story and Plagueis's beginnings..."